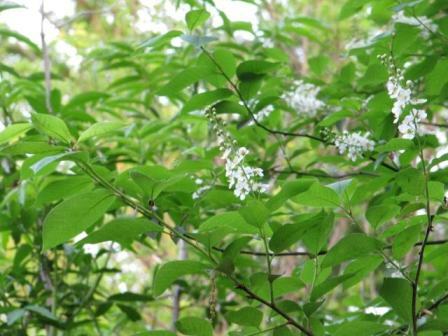 HABIT: White drooping flowers when leaves have just emerged, followed by clusters of green, red, and black cherries, which can all be on the tree at the same time. Most of the fruit ripens in late summer. 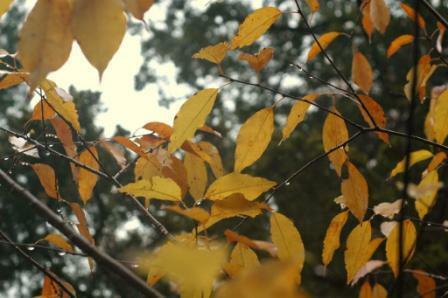 Beautiful shinny foliage. Yellow fall color. CULTURE: Needs moist, well-drained soil. USES: Ornamental tree, high quality wood. Food for birds and other wildlife. 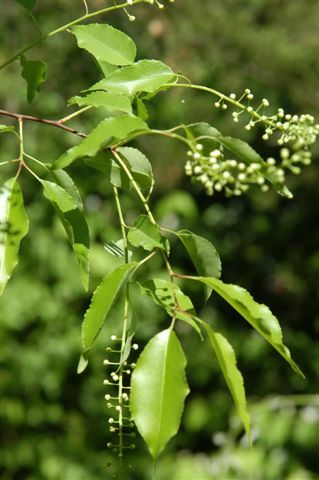 PROBLEMS: Twigs and leaves can be toxic to animals and humans. Tent caterpillars. NOTES: Can grow to over 100 feet in the deep sandy soils. 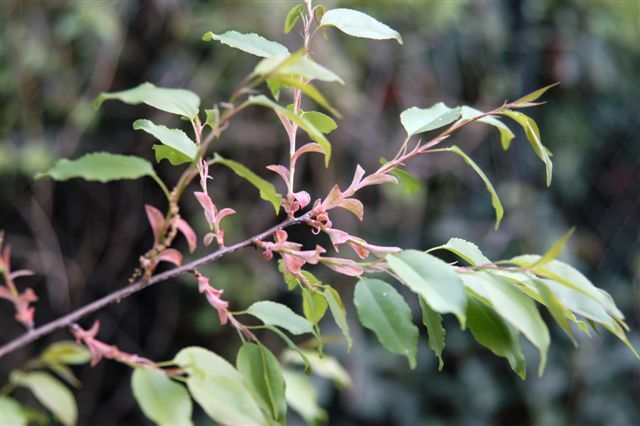 The escarpment black cherry is Prunus serotina eximia. 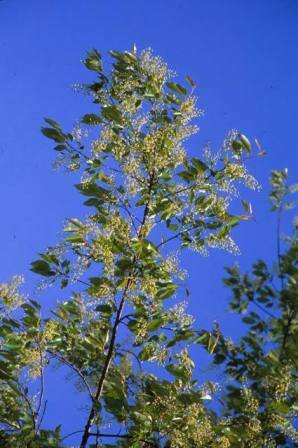 Black cherry makes a fine landscape tree and should be used more. Herbalists recommend cherries and cherry juice for intestinal cleaning. Black cherry is an important food source for wildlife.